I say it often; it’s alright to make mistakes as long as you learn from them—especially in the garden. Well, I made a doozy recently and have I ever learned from it. 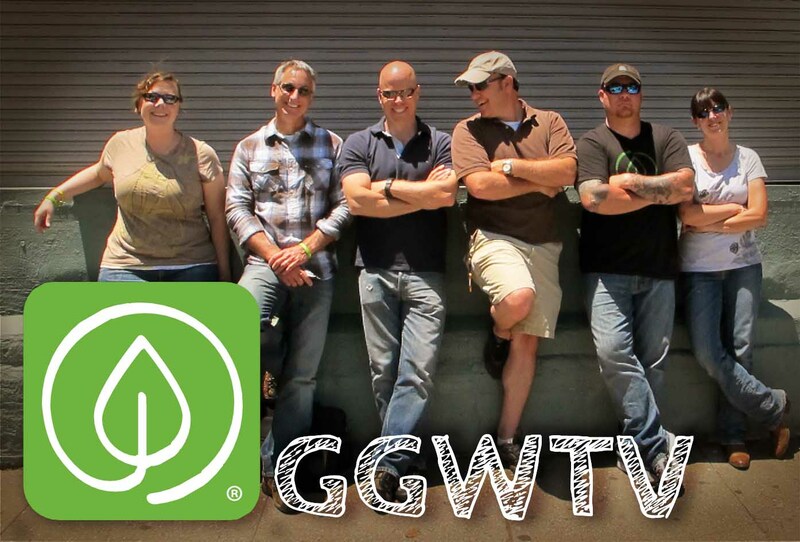 If you watched our Episode 406 on building out our GGWTV Vegetable Garden, you know how hard we’ve been working. I was especially proud when the time finally came to fill my beds with carefully selected, rich topsoil, organic compost and manure. And I was feeling particularly resourceful about utilizing the manure from right here on our farm. With horses, goats and chickens, we had a generous inventory that was well rotted and ready for the garden. As a full time gardening communicator who prides himself at being in the know, I am also aware of the potential current hazards of using manure to amend garden soil. In recent years, it has become very apparent that some herbicides used to control weeds in farm fields persist for a very, very long time. Even worse, they don’t readily break down, even as composted manure! So if I knew better, why did I do it? Chalk it up to my haste to fill my new garden beds, combined with the very unscientific assumption that it couldn’t happen to me syndrome. My rational for proceeding prior to the proper testing was also flawed. Conscience of the potential risk, I had been observing various weeds and plants springing to life from this massive, aged manure pile for weeks while failing to consider that not all plants are impacted by these herbicides in the same way. Giving myself the green light to proceed with amending my soil with this free and abundant manure, I blended about 20% total volume to each bed in my garden. Then I planted every bed, including 20 varieties of tomatoes. And then I waited—and waited. Something wasn’t right. As my new plants finally started to grow, their leaves were so twisted and distorted, while other plants were severely stunted. I knew what happened—I just refused to believe it was true, and that it happened to me! To add insult to injury, even the hay I used as mulch contained the bad stuff because it came from the same source. About a month later I finally confirmed my suspicion. The farmer that grows the hay that we buy for our horses made his periodic delivery. I didn’t waste a moment; “What type of herbicides to you put on your fields?” I asked. “Grazon” he replied—not the answer I wanted to hear. It’s all I needed to know. The trade names for the products you want to avoid are many. But the active ingredients of greatest concern are picloram, clopyralid, and aminopyralid because they can remain active in hay, grass clippings, piles of manure, and compost for an unusually long time. These herbicides eventually break down through exposure to sunlight, soil microbes, heat, and moisture. Depending on the situation, the herbicides can be deactivated in as little as a few months yet complete deactivation and breakdown can take several years! So what will I do now? Many people I’ve consulted with didn’t hesitate to suggest I remove the soil from every bed and start fresh. I agree, it’s the best way to tackle the problem head on. Yet, considering the time, energy and expense of filling each of the 16 beds the first time, I can’t stomach the thought of removal and starting over. The other option, and the one I’m taking, is to leave the soil in place, hoping through bioremediation, I can heal the existing beds. I’ve grown out the plants that are already there to see how they ultimately respond. After that, I’ll turn the beds to expose the soil to more to sunlight and air, and promote the soil microbe activity in each bed and hopefully deactivate the herbicides more quickly. Then I plant cover crops in all the beds to keep the biological systems running above and below ground. Thankfully, not all my plants were affected, yet hardest hit were the tomatoes, eggplant, peppers and beans. Remarkably, the cucumbers, okra, herbs, chard, beets, sweet potatoes and watermelon did fine, as did my ornamental annuals scattered throughout. What should you do? Never use manure or even hay as mulch in your garden beds when you are unsure of the chemicals used in the field. It’s unfortunate but for now, it’s the only way you can be sure you are not transferring harmful, active herbicides to your garden. And lastly, farmers have a big responsibility in this as well. 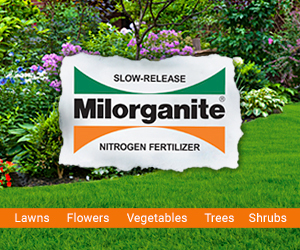 Please inform your customers if you are using herbicides that can be potentially devastating to home gardeners. My hope is that by next year, my soil will be restored and this is one mistake I know I’ll never make again. If you want to see the segment we did on this for the television show, where Joe shows the actual damage and shows you how to test your manure before you put it in your garden, be sure to watch it here, in episode 410. Im having problems with aminopyralid. Im in France and was not aware of your website till i started to google aminopyralid. Its great and im finding lots of useful information here. I have not dug the manure into my beds, only used it as a mulch and have since removed all traces of it. But second plantings of potato are showing these terrible fern like leaves. I was just wondering if i understand correctly from reading all the posts. The next summer after you used this manure you were 85% happy with growth, is that growth of sensitive crops like tomato and aubergine? You could still see signs of this twisted and stunted growth but you still had 85% sucuss? You were happy to eat the red tomatoes from this ground but from experience you know you should have had better results? I know this is a very old form but i really need some motivation to keep me going with green manures and worm compost to hope next year i will have a crop. Thank you very much. In my research and practice, I diligently worked to expose the soil to sunlight (Ultraviolet light), air and moisture. According to what I found on how to mitigate the active ingredient, the best way to accelerate it breaking down is a combination of all of the above. In addition, I actively grew cover crops in these beds and endeavored to use green manures as much as possible in the soil to take up these compounds. I’m not certain I had 85% success in just the second year, but I know by being proactive with the options above, I definitely sped up the process. Changing out the soil completely was not an option for me. But I didn’t want to just wait out the process either. Fortunately, you will get ahead of it and I hope you can make that happen soon. Hope this helps! 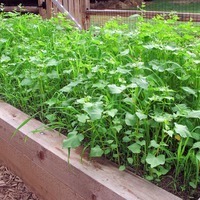 I have about 100m2 outdoors and will try the green manure options there. Also 50m2 in tunnels that has been no dig method for 3 years now so i think im not going to dig the tunnel. The manure we used as a mulch and since all removed with a fine brush. Though 2nd plantings are all showing signs, not coming out of the ground like ferns as the first potato’s with manure on did. But growing ok for a few weeks and then the leaves cupping up. So obviously the soil is contaminated but there isn’t lumps of manure in the soil so im hoping in this lets say liquid form it will be quicker to break down. I know nothing is sure and everyone’s situation will be different. I will leave another comment here in the future if i feel i have learned anything as there are not so many forms of people updating on the de-contamination as you did here. I hope your beds are working perfect for you this season 2018 as you have worked so hard to over come this problem. Since this was first published in 2013 do you have any better idea of the length of time it is going to take for the soil to heal? Hi Shari. I can only tell you what I experienced directly from my own garden. By the 3rd year after the bad year, my plants were growing with little noticeable difference from the un-tainted soil. Considering I did all I knew to do short of starting over, I would say it takes a good 3 years, and possibly 4. Sorry to be the bearer of bad news but I suppose it could have been longer. Well the only manure not mentioned was Alpaca, which got me this year. It has caused severe herbicide damage as well, and of course looking for all the latest information on mitigation, this has been a helpful string of information, so thank you very much. Sounds like a long haul. I did try to save some heirloom tomato plants using a technique I read by science labs: dig them up, knock the dirt off, wash the roots vigorously, and replant: in my case very large pots with organic potting soil. It has been a little over 2 weeks now and the leaves are uncurling, new growth looks good. The plants left in the ground died of course. Couldn’t save all 32 but 5 is better than nothing. My concern is information that is not research based, like the worm castings and whether vermiculture or vermi-composting actually “cleans” the persistent herbicides from manure. The person who sold me the tainted manure has given some to a community garden to use in their vermi-composting program claiming the worms will clean it up. Is there any research about this or just another way for this guy to spread his toxic waste? Worm castings are great, but not if they are contaminated. Last, a reminder to let other people know that you received tainted compost or manure and what the source is, it will help protect other gardens and farms. In fact, a responsible compost business or manure provider will welcome the information. Call your State Agricultural dept. if you file a complaint they will come out and test, in my area for free, they document everything. Growing a greener world team, thank you for all your hard work. All good points Mary. I’m impressed you were able to save 5 of your tomato plants by digging them up and transplanting after cleaning them. The idea that the worms and vermicompost will help break down harmful components in the soil is fact based. However, I have not read anything that addresses this case of persistent herbicides specifically. But, the general concept of how the worm’s interaction and the vermicompost they produce and related micro-organisms do contribute to the degradation, deactivation, or mitigation of harmful contaminants in the soil. Is it “the” solution? No. But it helps to some degree. Likely by shortening the long time that it takes for these herbicides to break down otherwise. I am going to start my own vegetable garden next month. I watched your shows and really like them. My wife and I are huge fans of your show. The broad knowledge you are sharing is invaluable in this day and age where we just can’t trust what is being grown for us. Now we can’t even trust basic ingredients into our compost piles. Such a shame. Please, keep up the great work. Thanks David. So true what you say. I’m suspicious of anything coming into my compost piles that wasn’t sourced from my own property. Better safe than sorry! Thanks for your kind words. 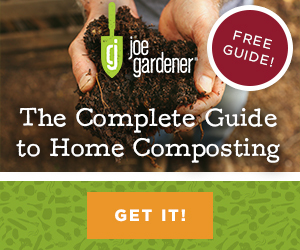 Hi Joe, I realize that this is an older post but I was wondering if there was any advantage to quarantining your compost, Would it help to pile the compost, plant the test seeds and only add the compost to the growing spaces when it has proved to be untainted? If the pile of compost proves to be suspicious for taint could it then be deactivated in the pile and only used when the seed test plants show no more signs of taint? Hi Lorri and yes, you’re right about that. EVENTUALLY, the tainted compost will deactivate. And as long as you’re patient, can wait it out, and test in a controlled environment first before adding to your garden, this is a viable solution for saving it to add to your garden down the road. To hasten the process, I would turn your manure pile as often as practical and keep it moist. The more UV light, moisture and biological activity you can introduce to the manure, the sooner it will neutralize. Hope that helps Lorri. Good luck! Joe, used Roundup to kill weeds & grass over about a 30′ x 30′ plot. I now want to establish maybe 2 or raised beds on this plot. I intend to use goat manure & a topsoil mix to put in the beds. I’m positive that the goat manure does not contain any herbicide residue, but am unsure about putting the beds on top of soil where I have used Roundup. Any advice or information you can give me will be appreciated. You should be OK Tom. Considering the roundup affected soil level will be X inches below your new seeds or seedlings, combined with the time between when you sprayed and the time new roots potentially reach the original soil surface and I think it all works out. Hi. 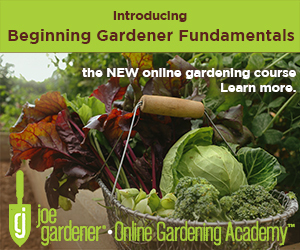 I was directed to your site by a Master Gardener at Missouri Botanical Garden. I am the victim of tainted compost from a Land-o-Lakes facility in Gray Summit Missouri, where they raise dairy cows. I got it there many previous years, but this year it was bad. I started having problems immediately after planting. I researched it, and it had all the signs of herbicide taint, but I couldn’t believe that, as it just didn’t seem possible in my situation. I tilled in tons of composted manure in early Spring. After planting, I added more around the plants in April. In late July, I started hearing rumor of problems with the compost, so I called and they confirmed it: Dow Chemical Stinger Herbicide, and they said it specifically tested positive for Chlopyralid and Aminopyralid. I haven’t gotten a single tomato yet (I canned about 800 pounds of them last year). So I’ve been reading about how to get my garden to recover. Any new insights there? I’ve read all the comments so I have seen what was suggested to date. Also, not everything seemed to be impacted. My cabbages and cucumbers produced well. Is it safe to eat all the pickles I canned and fermented? Thanks for your help. Oh, also – on one post, you mentioned a product that should be safe as it came from dairy cows. I know you may have specific info that indicates that product is safe. But this compost came from dairy cows and their manure in this instance is not safe. Hi Chris. So sorry I’m just getting to your comment and question. You certainly know I feel your pain! To your question first, the cow manure I was referring to is called Black Kow, regionally available mostly in the SE and is out of Florida. When I last spoke with them, they had no reported incidents of problems and have no reason to see that changing as their vendors and protocols are stable so no foreseeable changes. As for your question on update from me, I feel like now, 2 full years later, I have restored the soil to 95% cured. I did have one part of one bed (1 of 16) that showed def. signs of herbicide persistence. I had tomato plant show the signs we recognize so I pulled it out and replaced it with a brand new plant of the same variety. And I had almost the same symptoms. You’ve done all I think you can do. And you’ve likely sped up the recovery process. Yet still, it is going to take time as I have learned. As much as we think we might be able to “fix it” quicky, those herbicides are bulletproof and all we can do is what you’ve done and be patient. I wish I had a magic answer but I don’t. Thanks for writing and sharing your story. If you have any updates now or later, please let me know. more SHOWS. Keep up the good work. KM. Hi, Joe. 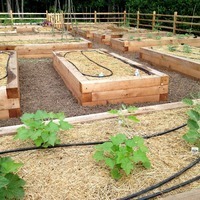 Your post says never to use manure or hay as a mulch. What about wheat straw? Would that also be at risk for herbicide contamination? I use wheat straw in my chicken house and compost everything when I clean. In the past I have used baled wheat straw as a mulch my my garden. Everything seemed ok, but now I’m worried that I might not be so lucky the next time around! Lara. It depends on what the farmer who grew the straw used in his fields as an herbicide to control weeds. The problem is that you are likely to never know that unless you know the farmer directly! That’s how I found out for sure, even though I already knew! In addition, I’m becoming even more skeptical about using any inputs in my garden or compost pile where I don’t know the origin. There is growing concern over the feed that livestock eat which may include the herbicide. There are reports that some common livestock feed has tested positive for the very herbicide we are trying to keep out of our gardens. I’m becoming more concerned myself since I use our chicken manure and add it to my compost before bringing it into the garden. But this season, I’m seeing new signed of herbicide damage! And the only conclusion I can draw as to its source is either residual lingering affects from my mistake 3 years ago (possible) or the chicken manure that was put in my compost bin months earlier. It’s very hard to know for sure these days. You can do a soil test but one specifically to test for persistent herbicides cost $250. Or, you could do a growth test in separate containers before adding to your garden beds. Hope that helps. I love your show and record it every day. It has inspired me to start my own raised garden this summer. I have a small farm in Maryland with miniature horses and plan to use the mini manure in my garden in the fall. The minis weren’t fed any hay this summer – just grazed in the pasture – so, per your warning, I am composting their manure over the summer and will have the manure from the winter (when they get hay) separated or hauled away. I’m so glad you dedicated a show to this problem. My only other concern is what these pesticides are doing to my little horses. Thanks again for a wonderfully entertaining and informative program. Thank you Carol! Good plan on your part too. As for the concern of what the “pesticides’ are doing to your horses, assuming you are referring to the persistent herbicide, according to the reports I’ve read about this, one of the reasons it’s such a popular choice with farmers and people with animals is that the chemical passes through the animal intact. Which helps explain why this stuff is so bulletproof. So, my take is that because it passes through the animal intact, you should be ok. By the way, studies were also conducted on humans to see if this chemical was present in the body after a period of time. Again, according to the tests, the chemical was not detected in the body after a short time. Dear Joe, sorry this happened to you. It happened to me this Spring. I’m not new to gardening, I’ve had a horse in the past and have been reading about toxic compost for several years, but I still got burned. Although I haven’t done a bio-assay test I’m confident the cow manure I purchased contained a.persistent herbicide. I purchased it from someone I know and I am still furious even months later to think someone who is educated would be so irresponsible. When I have some evidence I’m going to have a little chat with her and her farm manager. Two of my tomato plants were killed outright and the other thirteen either didn’t grow or had little growth that was clubby and looked like something from out of a sci-fi movie. I tried calling the local Penn State Extension Office but the receptionist would not put me through to an extension agent. Instead, because it was considered a home garden she put me through to the Master Gardener person who had not a clue as to what I was talking about (toxic manure and/or compost). This has.been going on for at least fifteen years in the U.S.–how many more years until it filters down to these “Master Gardeners” who seem to be neither? You spoke of bio-remediation. Aside from turning the soil under repeatedly, watering, and a green manure crop what else can I do? Would there be any benefit to a molasses, or a seaweed drench? Inquiring minds want to know! What makes this really disturbing is that this is in a community garden. It’s a giant field that is plowed twice a year–in the Spring and in the Fall, after the first hard frost. I’m sure the people who oversee the plot wouldn’t care even if I told them. And I’m afraid if I told the people who gardening there now I’d be summarily strung up! I can hardly wait for the fallout next Spring…. Hi Cherry. I feel your pain and share your frustration! I have to tell you, as I speak around the country to state Master Gardener conferences, many are not aware of this problem! It’s still a very new topic to the home gardener and those we trust to advise. On the bio-remediation, this was mostly an experiment and I didn’t have much to go on as I attempted to treat this problem myself. However, in addition to the things you listed, I was pretty systematic with trying to turn the soil every couple of weeks when possible. UV light, and air are very important to the process of de-activating the herbicides quicker. I learned this from visiting the websites of the Dow Chemical to research what I could do. The U.S Composting Council was also a great resource in addressing this problem head on and advising how to deal with it. Their website is http://compostingcouncil.org/. If you type in “persistent herbicides” into the search bar, you will find some good info. To your question about molasses or seaweed drench, I would absolutely incorporate these ingredients. Worst case I see no reason they would cause harm, while the molasses will activate and feed good bacteria and the seaweed is famous for its benefits when added to soil. I think we have to be as pro-active as possible in our efforts to speed up the de-activation process. The more good ingredients we can add to improve the soil biology, the faster Mother Nature will be able to use her resources to expedite dealing with this. Finally, in my second season of gardening after the disaster (that being my first), I had a very productive garden this summer. I believe I have restored the soil to about 85% effectiveness. I saw very few signs of residual effects. I feel confident that by next season, we’ll be back to 100%. I hope that the feed you’re using to feed your livestock does not contain GMO s.
I used grass killer spray for edging my grass lawn and ant killer in some of my garden beds. Are these bad for my compost and garden? Not likely Don. The products that persist in compost are commercial grade herbicides that are not sold off the shelf to home gardeners. What you sprayed will break down quickly. No need to worry about this. Appreciate for the great info. I’m 48 hours into the realization that it seems to have happened to me, too. Glad there’s hope to rehab my beds. Thanks for sharing your plan for recovery. Greetings, and sincere sympathy for your disastrous compost experience. I was particularly interested in your solution to getting back on track, but I’m wondering about the future consequences with the plants that were not affected. Won’t they still be carrying that vicious stuff forward, like to your next compost pile? Or your plate? I would be nervous about using them, or is there something here I’m missing? Hi Virginia and thanks for your kind words. As much as I hate the thought of the herbicide being in my soil or in plants, I didn’t eat the plants and once they were done, I composted them, but only for my non-food garden beds (so I kept them in a separate compost area). I didn’t find any research that mentioned the health risk to humans if consumed, but I didn’t want to take chances. In the past year, I’ve worked hard and introducing as much good biological activity and beneficial microbes as possible. The overall plan was to let the good guys, combined with sun exposure, heat and water, eventually deactivate the bad guys. As of today, my spring garden is fully planted and everything is looking fantastic. My concern was it would be another season at least to recover but I think my proactive approach may have worked. I also believe any of that herbicide that is still in the soil has been basically rendered harmless to my plants and me. Chalk one up for Mother Nature. Hi Bruce. Sorry that info was readily apparent. 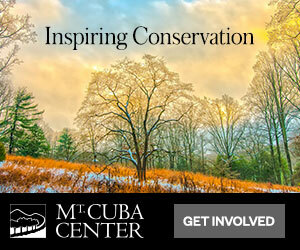 I’m adding this link from the U.S Composting Council. It should have what you are looking for and more. Is it okay to recycle old lumber to build a verticle vegetable garden, if it was treated many many years ago? Probably OK Dorothy. I would suggest two ways to provide a little extra precaution if you would like. Line the inside of the wood with heavy plastic to create a physical barrier, and /or plant 12″ away from the wood to minimize roots coming in contact with the soil around the wood. Both of these options may not be necessary but if you can, the extra measures will provide some peace of mind at least. This is my second year having a garden. I have fallen in love with it. Can’t get enough learning from reading and shows such as yours. I had a great first season and decided to try cover crop this year. I was hoping to avoid animal manure with this . I added e grounds leaves egg shells , ashes from wood fire,, rock dust. My cover crop is hairy vetch and winter rye. I planned on adding compost from a local garden center or Bags of worm compost. I also bought a compost tea system to try this year. I want to go organic. Do any of you fantastic gardeners have any advice for me as to what else I may be able to do for healthy soil before this season…without the horse or cow manure. I will soon be presenting a power point on composting and this article on compost being compromised by herbicides in the materials (hay etc.) fed to your animals and showing up in the animal waste is really interesting and scary. I wonder if I may copy this piece to provide as a handout at the power point, crediting it to you Growing a Greener World show. Absolutely Ann. Thanks for asking. Everyone needs to be aware of this and I’ve found so few people yet know about this problem. Please do help spread the word. Thanks. My questions are about Lava Sand. I garden in the Phoenix, AZ desert, which has heavy clay alkaline soils. I wanted make the texture a little more sandy loam, so I’ve been adding organic material and sand or lava sand. I searched on internet to find out more about it and some say that it is kind of a scam, ie, that it doesn’t live up to its claims and will increase the alkalinity. I hope I didn’t do a bad thing and ruin my garden soil! Is lava sand a good/bad/ or “it depends” soil amendment? Does Lava sand provide nutrients or help make nutrients available? Will lava sand make my soil more alkaline (something which I don’t need)? PS: I love your show watch it every week and tell every gardener I know to watch it for the wonderful gardening info, sustainability, recipes, and inspiration! These products are dangerous to our ability to feed ourselves and should be outlawed plain and simple. But since our politicians don’t seem to be watching out for us these days, we should AT LEAST be able to purchase a testing kit to determine if certain chemicals are present in a product BEFORE we introduce it to our gardens, or to test our gardens when we suspect we’ve already got a problem. I’d send soil samples to my agricultural extension service if I can’t do a test at home. This would be so much faster than testing by planting. Are there soil test kits available, or could we have some developed since this is a growing and serious problem? Thanks so much for this information! I wouldn’t have thought my manure would be dangerous to my garden. I wish it were that easy Kathryn. But since many of these products are “effective” in as little a one to ten parts per billion, only the most sensitive testing equipment can detect its presence in such minute proportions. That’s well beyond what facilities that we have access to are able to test for. That brings us back to the slower but effective (and inexpensive) method of trialing the soil through growth tests as demonstrated in this episode. That’s still our most practical and cost effective option. so….how do you effectively test your compost before using? We have horses and I would love to start composting the manure but we have no idea what sorts of chemicals have been used on the hay we feed as we don’t grow it ourselves. 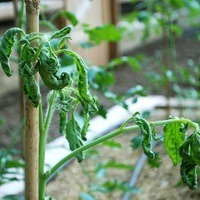 Janine, I demonstrate this in the episode that you can watch here: http://www.growingagreenerworld.com/weedless-gardening/. You’ll also see some of the damage in the garden caused by the herbicide. Definitely worth watching, especially for what you wanted to know. You should check out rock dust for your gardens and see if you need manure at all. Got it from growing your greens . Hope this will help you in the future. I’m all for adding back what nature provides in her buffet of options. However, I believe we still need organic matter, such as manure and compost and minerals, such as rock dust. We need both. I’ve never looked into rock dust but I will. Thanks for the suggestion Diana. Really good post, Joe. I consider myself to be one of the three finest gardeners on the planet (together with you and the mayor of Toronto), yet it never occurred to me that herbicides could pass unaltered through an animal and poison plants on the other end (pun fully intended). Gardeners need to know this. And there is no better way to teach beginners than when an expert exposes his own mistakes i this regard. Fist bump. Fist bump back Grumpy. At first, I was really ticked at myself for knowing better but moving ahead anyway, without doing the proper testing first. Yet this experience has really opened my eyes to this widespread problem. Happy now to be taking one for the team as I explore and experiment with ways to resolve this problem sooner than later. Now, I need to share the progress of what’s working or not. So far, I’m hopeful and already seeing improvements. But man, what an eye-opener…almost as much as being grouped in the company of Toronto’s mayor! Thanks for the laugh, and thanks for writing. Always good to here from one of the other finest gardeners in the world. Thanks Annie. You of all people certainly know that it IS all about the soil. Fighting fire with fire is my approach right now, and I think it’s working. Adding back more beneficial microbes by creating an active and productive environment for their proliferation is helping. Cover cropping, turning the soil to expose compounds to sunlight and heat, keeping the soil moist and more. I think some Authentic Haven Brand Manure Tea would be an awesome help as well. Thanks for the link to the podcast. Just listened and appreciate the mention there as well. Keep up the great work that you do Annie. Your tv show said you have a link to find out where to get compost locally. WHERE IS IT? Hey Frank! Thanks for the comment and pointing out we missed posting a link on Episode 410 on where to find local compost. We have updated the website and made that change. Check out both Episode 410, as well as, Episode 302 for information on where to find local compost. Our garden outside Kalispell Montana was 7500sqft, glacial till with 2in-3in of topsoil when we started. We amended it initially with horse manure and wood shavings from a local barn but in a right of way settlement my dad became friends with a local pig farmer. Pig waste and sawdust pile three buckets wide as tall as a the TD track loader could reach one hundred yards long. at least a dozen piles. We applied it six-eight inches deep and roto tilled it in seven years straight. You could dig down three and a half feet and still be in humus when I left. It had to be the most amended soil in Montana. New owners let it go to grass. It was an award winning garden and the second best garden in the valley. The best was six miles away in a slough bottom and had an extra two weeks of growing season. Compost is important. I’m a worm rancher and feed only horse manure. After seeing the episode about your compost problem I tried to find out if the chemicals would also pass through the worms into their castings. No luck. Do you know? I have a couple of tons of castings on hand from several different feed sources. If one of them was bad and it passed through those castings would be mixed in with the rest. Then the question becomes, what is the concentration level that would impact the plants? I have to assume that the active ingredient would pass through the worm intact. These compounds are made to last, and I seriously doubt the worm will be able to deactivate it that quickly. I’ve read a lot on this but have not seen anything yet on the impact of worms in the remediation process. I would test the manure before and after to know if you even have tainted manure to begin with. I describe how to test for this by planting seeds in store-bought sterile soil and also in containers that include 50% composted manure and store bought soil. Plant peas, beans or tomatoes and observe the difference. Within 30 days after germination, you should be able to see the difference easily if your manure is tainted. Of course you could then test the manure before and after the worm castings and see if you notice a difference here too. The persistent herbicides are so potent, it only takes between 1 and 10 parts per billion to affect plant growth, depend on which herbicide it is. Worms eat 14 times their body weight and everything goes in the front, and comes out the back 100% good bacteria. It’s why they’re so vital to soil health. Always best to know your farmer before engaging in manures. Thanks a bunch for sharing this experience. It made me think of DuPont’s Imprelis® that was a broadleaf hebicide with season long residual that was introduced a few seasons ago. It was only a commercial product, but I remember being sold it by my local chemical dealer. As a Horticulturist responsible for Integrated Pest Management at a public Japanese garden, I thought it sounded great. Basically spray once and have season long post emergent control of lots of those problem weeds like creeping charlie, etc. Of course, the story doe not end there. It had the nasty feature of killing Norway spruce and white pines. Opps! Had it not been found out, it could have ended up in most municipal and commercial compost. Even if it did not kill those trees it would stress them and make them more susceptible to Cytospora canker, Pine Wilt, Pine Beetle, etc. The Imprelis® label prohibits the use of clippings for mulch or compost, but how many homeowners do you think would not put out their lawn bags to be picked up because it had been treated with Imprellis® ? I love that DuPont says you can’t even compost the dead Spruces and Pines it killed. I guess they end up in the landfill. You’re right Jim. Imprelis is the herbicide that got a lot of bad press for good reason. Nasty stuff!!! The labels on the persistent herbicides such as Grazon also advise in bold print, to not compost anything that this herbicide is sprayed on. The real responsibility is in the chain of custody from harvest to end user, to inform each person in the distribution chain of the presence of such. But that rarely happens!For example, the farmer didn’t tell us when he delivered the hay, that he sprayed Grazon on his fields that provided this hay. And most people don’t know to ask. Hopefully more of this type of exposure will raise awareness before it’s too late. Thanks for your comment. A very sad story, especially when you love gardening so much. I mulched with straw one year and regretted it by the end of the season. Weeds everywhere! I have had much better luck composting the vegetable beds with grass clippings (we use only organic fertilizers on the lawn). Good luck to you. Gardening, like old age, is not for sissies! My yard and garden in my new “older” home with a yard is so full of earth worms. I consider that a very good sign. Our soil here is high quality in this part of the country due to past flooding and other events. Some of these worms make me step back and take a second look. BIG. Also, thank you for sharing your story of the herbicide infested beds. Such a lesson to learn, so thanks much for sharing. Your beds are wonderful. I can’t garden in rows, has to be Picasso type of art in my garden plans. To each her own. I live in zone 5 and winter is coming. I was wondering would you suggest worm castings or cow manure to be put in each of my raised vegetable beds? Then i was thinking of layering newspaper and then straw to top of everything before the snow falls. Hi Lucy. I think your plan is great. And I love worm castings and cow manure, but if I had to pick just one, I’d take worm castings. Are you thinking about the newspaper and straw as insulation from the cold? The snow will do that as well. You won’t hurt anything by adding the paper and straw, but I worry that the straw may contain persistent herbicides that could cause problems later. And the paper won’t make much difference alone. For that reason, I’d let the snow fall and provide the moisture and insulation that’s needed. Since the worm castings are the manure of the worms, and not the worms themselves, you’re not going to harm anything if it gets too cold. P.S. – I want to suggest that people avoid the product called ‘Round Up’. I[ve had very sad experience with this. The apartment complex landscaper sprayed it around the roots of trees here and around the root base of my newly planted hedges. Most of them died, including my young tree. Though the hedge out back survived it has been very spindly, leggy and thin of leaves for over a decade now. ‘Round Up’ does NOT break down. It’s there for a very, very, very long time. NEVER use it around any edible plants. THe landscaper sprayed near my Blueberry bush and the fruits tasted AWFUL. I didn’t eat them for years. In fact, never use ‘Round Up’ at all, or any other herbicide (in my opinion). Get some books on Companion Planting, like they did in the good old days. ALSO, learn about your ‘weeds’, which may actually be useful, if not edible, herbs. You do indeed have to be very careful with non-selective herbicides, such as Roundup and the active ingredient, glyphosate that is found in many other products today. And the drift from such herbicides can affect plants far from the targeted ones. But it’s not just Roundup / glyphosate that is the problem. And based on what you describe, I’m wondering if the product used was Imprelis–A very destructive herbicide that was responsible for killing thousands of trees around the country, similar to what you describe. It has since been pulled from the market by the manufacturer but not until the damage was done at a massive scale. I’m sure the product is still being used today from leftover stock. It should have never been allowed to be approved for use under any circumstance. That’s what boils my blood. Yes, my condo complex had that nasty chemical used and we got in on a lawsuit and the company paid us a few thousand dollars for dead trees, dead shrubs, and it is going to be years before some areas can be trusted to allow any shrub to grow again. SAD!!! Hello, This episode, which I just watched, is truly enlightening. I hadn’t thought about herbicides in commercially purchased compost. Yet it seems it should be such an obvious concern. Even if I make my own compost, I must be mindful to put the discards of ONLY Organically Grown vegetables and other bio wastes into it. Apparently we must always be ever vigilant and active about environmental issues. I’m also watching the Edible Gardening episode now… so bye til later. Thanks Elizabeth. After experiencing what happened to me, I agree, vigilance is key. There’s no substitute for what you make yourself, but even then, you now have to be mindful of where every ingredient comes from that goes into making your compost. Things we never really had to consider before are paramount today. Good luck and thanks for commenting. This episode was a real eye-opener for me. I think this happened to me, only I didn’t know what the problem was: herbicide contaminated soil amendments. 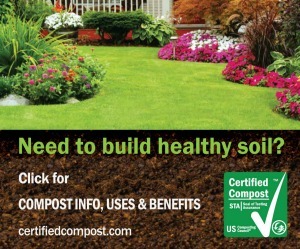 question: Do commercially made composts and top soils have this problem? My community garden wants to buy a truck load of top soil for out vegetable gardens. What should we look for to be safe? This show was super helpful as are all your shows! I’m a big fan. Hi Kathleen. I have been in touch with the President of the U.S Composting Council and they are very concerned about protecting the integrity of commercial compost since it is very difficult to control all the sources of incoming material. Since persistent herbicides are showing up in more things than ever, the problem is becoming bigger. This is not helped by the fact that the federal government has made no effort to date on offering any hope for the industry, siding instead with the chemical companies of course. So my rule going forward is that unless you can truly trust the source of the compost or material, than better safe than sorry. That’s my new rule and it’s the only true way at this point to know I’m not poisoning my soil. I hate that this is such a problem and hope we can find a better option soon. Does this apply to the Black Kow composted bags of manure you can buy also? Or the bags of peat moss? It does not apply to bags of peat moss and we contacted the folks at Black Kow directly about this. They have had no known issues with this, and don’t expect to. Their manure comes from dairy cows that do not graze on fields or consume products containing any persistent herbicides. I had a different issue using manure from a friends naturally fed and raised horse, goats and chickens. Clearly no pesticides came with the load but I am now dealing with three new weeds that were previously unknown to my garden. The stinging nettle that arrived is a love hate thing. Love it, because I use it in the spring for allergies, but hate it as it just keeps coming up…..everywhere. Ah yes, that is the other issue. But I can tell you Annette. I’d trade you any day to only have the weed issue. Count your blessings. The alternative is a nightmare! Have you tried bioremediation by incorporating vermicompost and/or vermitea? I would encourage you to look into it. As a vermiculturalist for many years, i am continually amazed by research that continues to find more benefits when we integrate vermiculture based products. Yes, that is my strategy. The power of worms is an amazing thing and I will be incorporating more worms and vermicompost and tea into my beds. Thanks for the suggestion. Gosh that is rather scary – so sorry that your crop this year was compromised. Sometimes we trust too much that others are doing the right thing. I think time and a green manure crop will eventually get that soil right again. It is scary. And it’s becoming more of a problem all the time. These persistent herbicides are showing up in all kinds of green waste and there’s no legal roadblocks to slowing it down. The composting industry is furious since most of their raw material comes from outside waste and it’s impossible to monitor everything coming in from outside sources. I’m banking on the hope that you and I are right about time (and I hope not a lot of that) and green manure will deactivate the actives sooner than later!